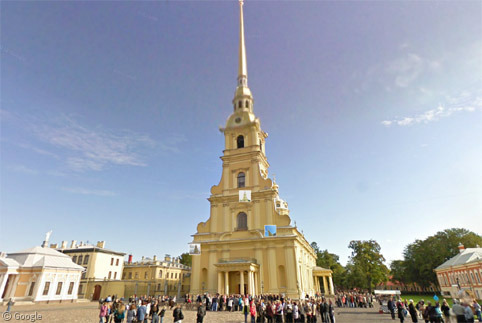 Continuing our exploration of one of the world’s largest UNESCO World Heritage Sites, we’ll visit some of the structures built to defend the Russian city of St Petersburg over the past few centuries, beginning with the area of the Baltic Sea around Kotlin Island, about 30km (20 miles) west of the city. After Peter the great seized Kotlin island from Sweden early in the 18th century, he realised that it was a vital strategic location to protect his fledgling city from sea attack. 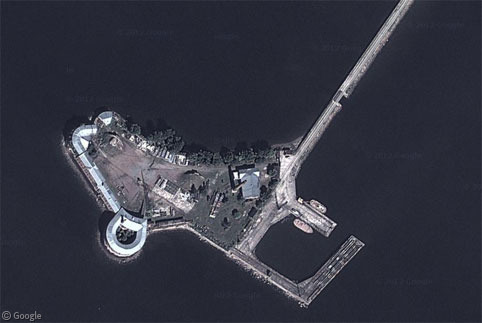 He quickly began construction of the fortified town of Kronstadt, which now occupies the entire south-eastern part of the island and which is a significant base for Russia’s Baltic Fleet as well as a merchant shipping port. 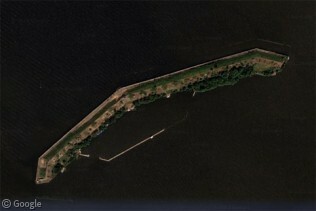 As the island narrows towards the north-west, several forts, moats and defensive barriers were built to protect against invaders who tried to land away from Kronstadt. 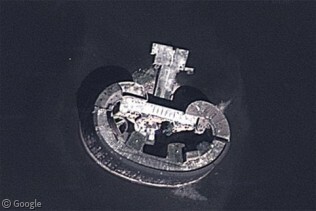 There are still military facilities on the island today. 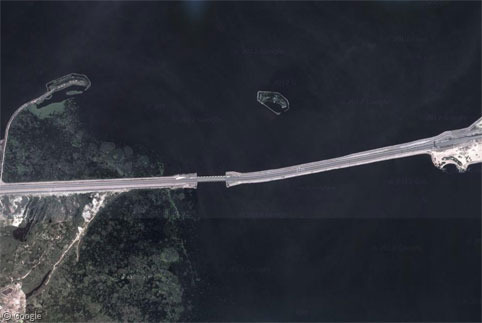 Forts[^2] were also built on around 40 artificial islands which were constructed on either side of Kotlin, limiting sea access to St Petersburg to two well-defended channels. A number of these islands are still visible today from the road which spans a dam and flood prevention system which was completed in 2010. 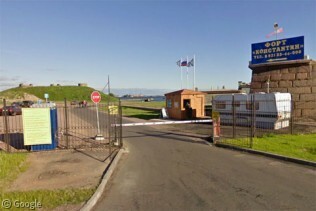 Fort Konstantin, on the southern shore, was one of the largest forts which protected the shipping channel.It is seen on the right of this image. Today it is almost an afterthought to the highway, tunnel and massive flood gates which were built nearby. 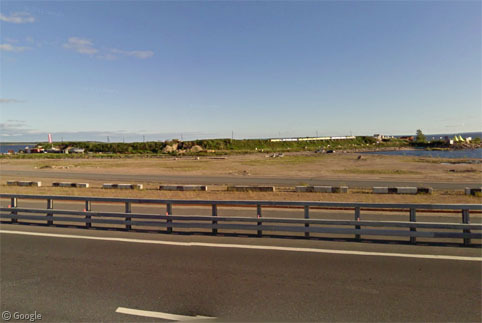 However, some of the fortifications are visible from the road, and there is a car park for visitors. 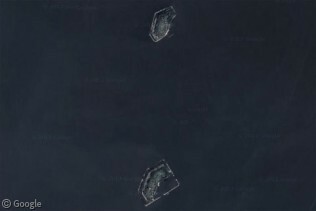 Briefly looking at the other island forts, starting in the south with Forts 1 and 2, which were simple defences consisting of artillery batteries and shelters for soldiers stationed on them. Fort 3 was similar to 1 and 2, while Fort Paul 1 was larger, but destroyed by a munitions explosion in 1923. 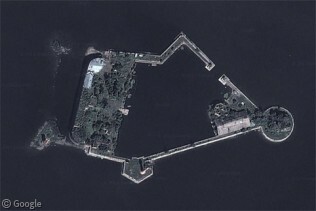 A number of islands provided close protection for the shipping channel and the town of Kronstadt. Fort Alexander I was a strongly fortified island built in the mid-19th century, and later used as a bacterial research facility, for which it earned the nickname ‘Plague Island’. Fort Peter I was attached to Kotlin Island by a causeway. 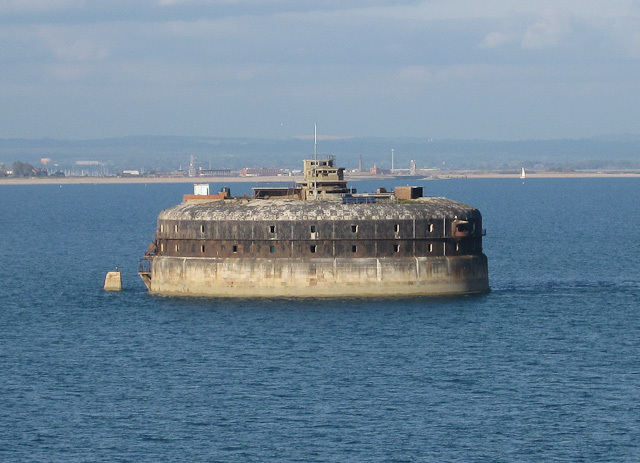 Fort Kronshlot was one of the largest islands to be built and included a safe harbour for naval vessels. Across the shipping channel is a lighthouse built in 1914. 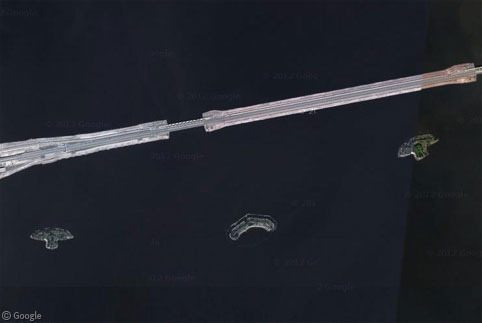 Over on the north side of Kotlin Island, seven forts were originally built on wooden platforms, but due to flood damage they were later rebuilt on stone foundations. 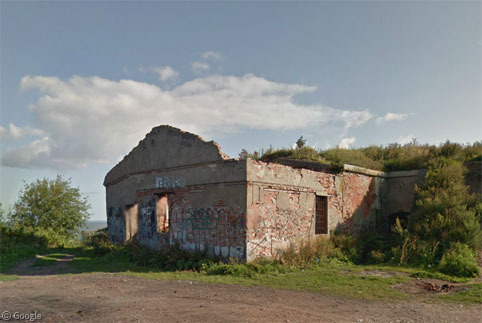 Today they are mostly standing in ruins, covered in graffiti – the Street View car managed to get quite close to Fort 1. Fort 7 also stands right next to the new dam. 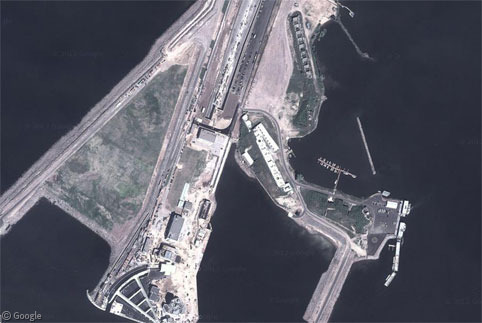 Further out to sea, two much larger forts were built early in the 20th century to further bolster the city’s defences before World War I: Forts Obruchev and Totleben. 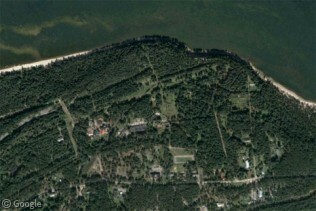 Around the same time, a number of forts were also built on the shores of the Gulf of Finland. 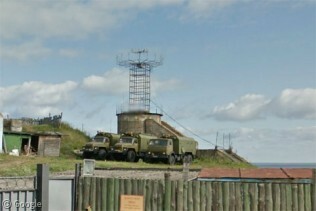 These include the Krasnaya Gorka (Red Hill) Fort and the Seraya Loshad (Grey Horse) Fort. With significant gun batteries, they were well prepared but actually were not involved in World War I, but did see action in World War II. 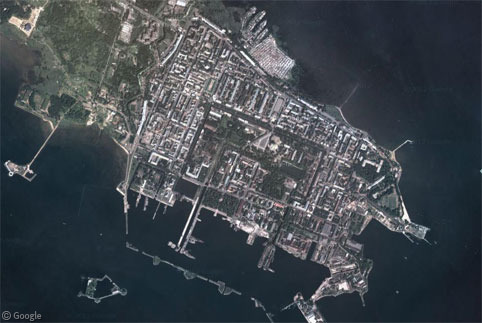 Finally, moving to the east of the city, Oreshek Fortress defended the mouth of the Neva River, which leads to St Petersburg some 35km (22 miles) away. Originally built by Swedes around the turn of the 14th century, it changed hands repeatedly until Peter the Great captured it in 1702, despite a strong defence by a small Swedish force. 250 soldiers fought for 10 days before eventually surrendering having lost over a hundred of their number. Some 6,000 Russian fighters had perished in that time. 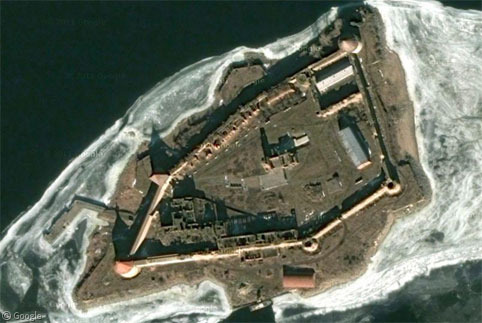 The fortress was renamed Shlisselburg, the same name used for the town that was built on the nearby shore. It was used as a political prison by leaders of the Russian Empire.